You’re never too old for treatment. 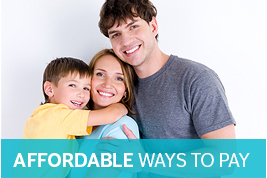 Straightening teeth can work just as well for adults as for children. Braces for children usually work more quickly than adult braces but they are still very effective. Is treatment a permanent lifelong solution? Teeth move throughout your life whether you have orthodontic treatment or not. 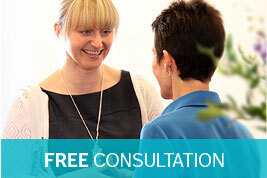 After treatment we advise that you wear retainers to hold the teeth in their ideal position. After a year the frequency of wear can be reduced to 2 nights per week to provide long term stability. Is it possible to straighten just my upper/lower teeth? Yes, depending on the severity of your issue. In some cases it may be advisable to treat both arches; the orthodontist can discuss this with you at your consultation appointment. I work full time and I can’t allow treatment to interfere in my working day. We have early morning appointments available each day of the week and a late night when we are open until 7.30pm. These appointment times are available to private orthodontic patients. Straight away, there is no waiting list. On average between 18 months to 2 years. However it will depend on the complexity of your case. The orthodontist will clarify this for you at the end of your first visit. Will it hurt to wear a brace? All braces feel strange for 2-3 days whilst the mouth adjusts. You may also experience a little discomfort whilst the teeth get used to moving. The discomfort usually lasts for a couple of days and if needed ordinary pain killers may be taken. What about eating, will I be restricted in any way? We provide dietary advice when the brace is fitted however certain foods eg hard or crunchy foods should be avoided during treatment. My child doesn’t qualify for NHS orthodontic treatment, is it worth considering private treatment? Yes, we offer a discounted rate for children who attend within NHS appointment times. 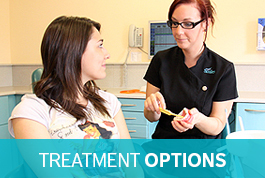 Take a look at our Private Treatment page in the Under 18 Orthodontics section for more information. Should your questions not be included, then please contact us and we will do our best to answer them for you.